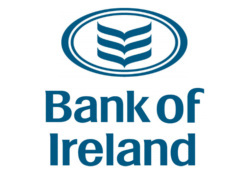 Bank of Ireland has announced that new fixed rates for first time buyers will reduce by up to 0.41% from today. In a statement, Bank of Ireland says new mortgage applications on 2, 3 and 5-year fixed rate loan terms can avail of the new rates. It also says that 1-year fixed rates will remain unchanged. New mortgage applications as well as applications currently in progress with the lender will qualify. “In December 2011, to support customers purchasing their first home or moving home throughout 2012, we launched a mortgage fund of €1.5bn. To date in the first months of 2012, we have received applications to the value of €528m from potential first time buyers and movers,” Jonathan Byrne, Head of Mortgages ROI in Bank of Ireland said. Those currently on various fixed rate terms with the lender will not see a reduction or a change. However, those coming to the end of a fixed rate deal will be able to avail of new, lower cost deals from April 12th. Standard variable rates and rates for Residential Investment Properties remain unchanged.